Abrantee caught up with P Square, Wizkid, D'Banj and more at the MTV African Music Awards. 1. 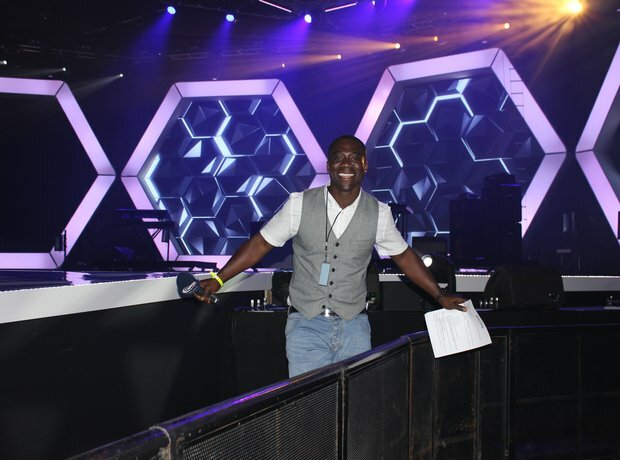 This week Abrantee brought you Afrobeats live from the MTV MAMAs in South Africa. 3. D'Banj pulled out his best blazer for the occasion. 5. Abrantee joins P Square, winner of 'Best Group' just after they collected their award. 8. Ne-Yo flew over to Durban for the live event. 10. Abrantee & Seyi Shay caught up on the red carpet. 11. D'banj chatted to Abrantee before the award show kicked off. 12. Don Jazzy managed to photobomb D'Banj as he posed with his award. 13. Patoranking was the winner of the 'Best New Act'... But Abrantee stole it. 14. Here's Toofan after teaching Abrantee the GWETA dance.